You might remember in my last post I complained mentioned that I didn't have any luck getting a picture of a Great Blue Heron at the wildlife refuge on Saturday. Well, I went back there the next morning after spending the night at a Best Western close to the refuge and finally got a photo of one. This guy was like, "Go ahead, take my picture, do you need me to turn to the left a bit? Shall I give you pouty?" It was a bit stunning after they'd been running (flying) away from me like crazy the previous day. On a completely different subject, I recently watched Mrs. Henderson Presents on DVD and found Judi Dench to be adorable. As I watched the movie, it occurred to me I've never seen a Judi Dench movie I didn't like. She's the bee's knees. I'll admit Notes on a Scandal was kind of dark and creepy, but I didn't dislike it. 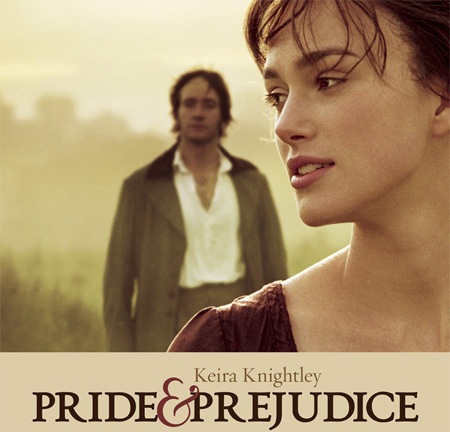 And then while I was at the Best Western, enjoying 10,000 cable channels (that's 9,990 more than I have at home), I caught Pride & Prejudice with Keira Knightley. It's been years since I saw it, and I was taken by surprise when Judi Dench made an appearance. This time she wasn't so adorable, but she was amazing. And I enjoyed watching that movie SO much that I wanted to go out and buy it the next day. "You have bewitched me, body and soul ..." Shiver. But instead I added the Pride & Prejudice mini-series from 1995 with Colin Firth to the top of my Netflix queue. 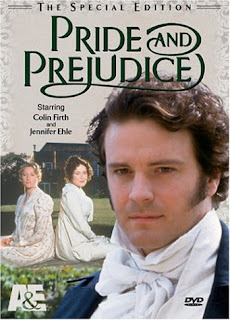 I'm pretty sure I haven't seen it, and I absolutely love, love, love Colin Firth (and I know many of you do, too). It should arrive in the mail tomorrow and I can't wait to watch it. Well, I guess that's it. Got a picture of a Great Blue Heron. Judi Dench is amazing. Love that Colin Firth. Jane Austen rocks. and that great blue heron..he did pose! what a wonderful adventure you were on! Colin Firth in Pride and Prejudice?! Have a fan nearby because he is just a DREAMY Mr. Darcy. Dreamy! Great picture of the Blue Heron. He really did "pouty" well, didn't he? 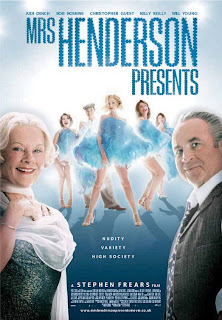 I'll have to look for Mrs. Henderson Presents and I'd like to see Notes on a Scandal. My daughter is a huge Kiera Knightly fan and we recently watched The Duchess. Very good! Haha great blue heron, i didn't know those were so "uncommon". Here in Holland, every "sloot" (waterway between meadows and in neighbourhoods for decoration) has 1 or 2 at least. Esp when duckling season comes they are there to pick up a few "snacks", my daughter hates them because they eat ducklings. Oh I am so happy you got a picture of that beautiful bird. Sounds like you are pampering yourself, laid up in a hotel watching movies:) Enjoy it all my friend! You deserve it all. Hugs from Georgia! Love the bird! We have blue herons that fly overhead to the creek in the back. They are amazing. We call them pterodactyls because they are so big! Love Austen, love Dench!...own most JA movies - just got the Colin Firth version....P&P (newer) is one of my favorite soundtracks, but I absolutely adore the movie "Becoming Jane", the soundtrack from that movie and James MaCavoy!!! Did I mention I love him? I'm working on the Elizabeth Gaskells books and movies...Cranford, Wives & Daughters. I have North and South here form the library but can't seem to find time on this break to sit down and watch all of it. "Got a picture of a Great Blue Heron. Judi Dench is amazing. Love that Colin Firth. Jane Austen rocks." Really. That was going to be my comment! Except I was going to say "Got an AMAZING GORGEOUS picture of a Great Blue Heron"!!! Great picture, Stacy! I can't comment on Judi Dench or the movies. Never seen them. But that Blue Heron... awesome! 1. Judi Dench is the cat's meow. Yes indeed. I adore her! I might actually cry when she passes on, because she's just so wonderful. Awesome photo of the blue heron..and he did pose for you! not a big fan of them, but they are good grilled. It's a fund raiser and each week there is a different group grilling up the dogs and selling them..for 1.00 so it's a quick meal. Pop and chips are 50 cents each! Yipee...you did get to see a great blue heron. I am happy for you. I love Judi Dench. She is fabulous. Jane Austin does really rock. You got that right. What a great picture of that Blue Heron. Jilly and I get to see them every now and then when we walk in the park. They are hard to get a good picture...are they camera shy? As for Judi Dench, the woman so, so good, no matter what the role. Both Pride and Prejudice versions are wonderful, in my opinion. Kiera is adorable in hers and Colin Firth is, of course, dashing always. I loved him in Love Actually.